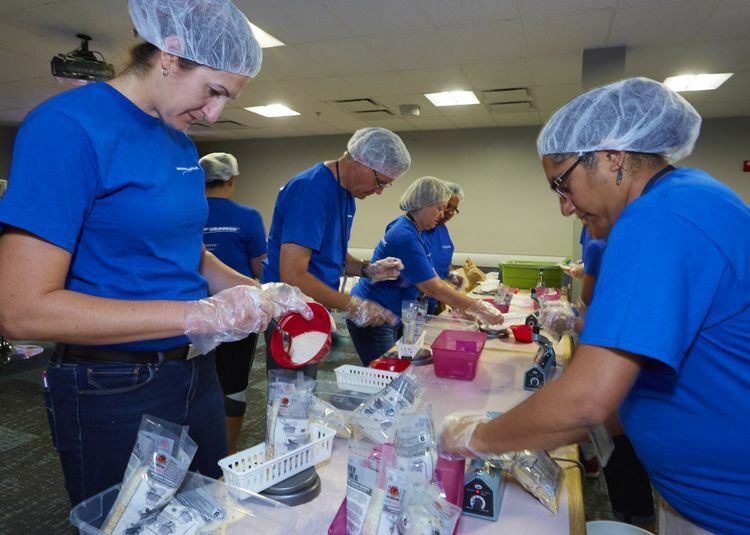 September was Hunger Action Month and Northrop Grumman Corporation partnered with Global Impact and Stop Hunger Now to combat the global epidemic through the Northrop Grumman Global Giving Campaign. 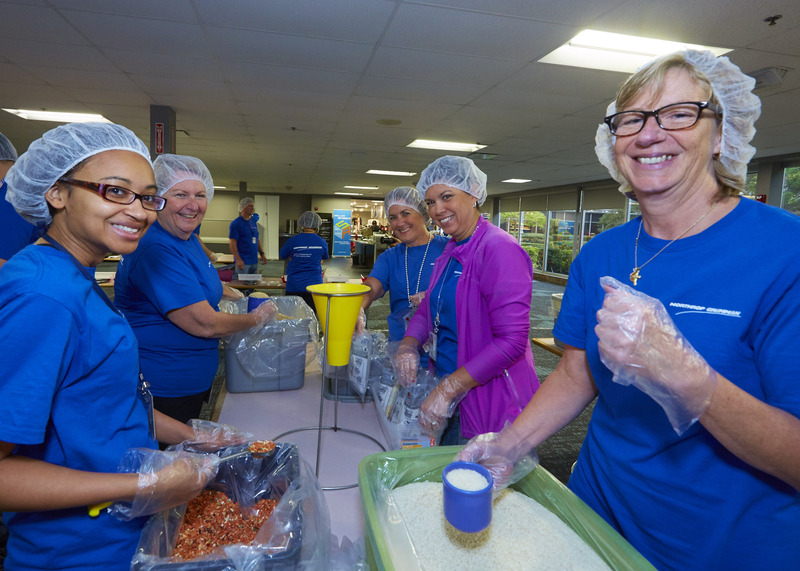 Through the month of September, more than 800 employees across nine company sites packaged a combined 170,000 meals that directly benefited Stop Hunger Now’s cause. Employees at Northrop Grumman’s Rolling Meadows facility, in Illinois, packaged meals for Stop Hunger Now. Employees across the company worked in teams to package meals comprised of rice, soy, dehydrated vegetables and 23 different vitamins. The meals, which each have a two-year shelf life, are then shipped throughout the world to support school food programs, orphanages and crisis relief efforts. Stop Hunger Now is based in Raleigh, North Carolina and is an international relief agency that has concentrated on ending hunger for more than 17 years. In 2014, the organization shipped 50.5 million meals worldwide. Northrop Grumman’s fight against hunger did not stop with meal packing events. The company also partnered with Global Impact to allow employees to donate directly to Stop Hunger Now. Global Impact works with approximately 400 public and private sector workplace giving campaigns to generate funding for an alliance of more than 120 international charities. Global Impact’s work helps provide food, water, shelter, medical care, disaster relief and many other critical services. 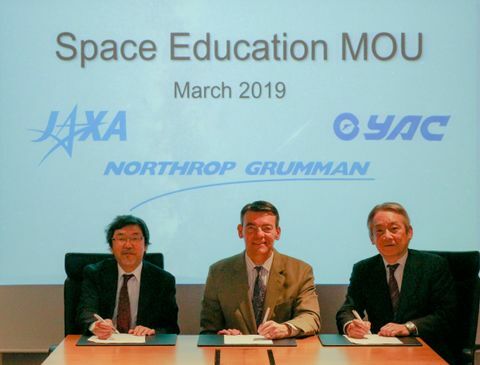 In addition to partnering with Stop Hunger Now and Global Impact, Northrop Grumman used social media to bring awareness to its Global Giving Campaign. Employees were encouraged to post a photo of their volunteer activity during the month of September on Facebook, Twitter or Instagram using the hashtag, #volunteer1ng. 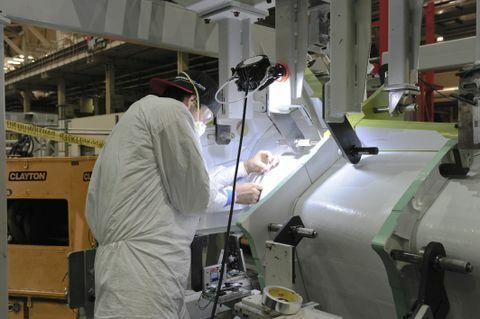 For every mention and picture shared, Northrop Grumman donated $10 to Stop Hunger Now. Ultimately, Northrop Grumman donated $10,000 to Stop Hunger Now’s efforts. 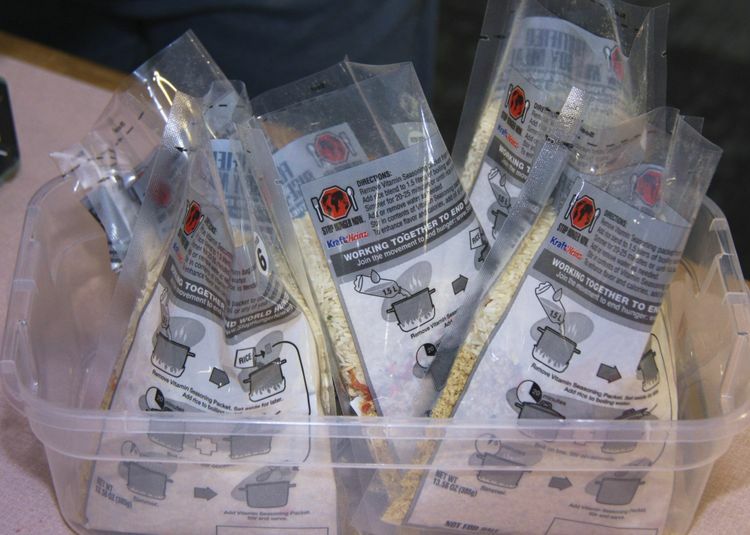 Packaged meals combined white rice, soy, dehydrated vegetables and 23 different vitamins.